Our primary guides are survivors from around the country who are our sounding board, guide decisions, create new awareness and show us what bravery looks like every day. Everything we do grows from the voices of survivors and the humanness of struggle and healing. Our Board is committed to the community of survivors and their wisdom to keep Brave Woman authentic and on target. It is a daily conversation. Sandy knows first hand the experience of abuse as a child. The impact of power and control, particularly when not physically visible, is difficult for a child to express and for others to recognize. She used the tools of writing to give expression to observations, ideas and feelings, developing it into a career of marketing, journalism and other venues. Fortunate to have a community of support and encouragement throughout her life in family, friends and mentors, Sandy is committed to building that community for others who may not have it in their lives. She has a Master Degree in Sociology, is a MentorCoach trained life and leadership coach and has been a consultant to domestic violence shelters and programs for the past 20 years. Through her consulting company, she has worked with corporations, small businesses and nonprofits on organizational & program development, resources and sustainability. As a co-founder of Brave Woman, she is spending her time gathering insights, wisdom and concerns from women and children throughout the country and helping elevate the voices of survivors. Jo Lynne Jones is the Director of Development and Communications at Infant Crisis Services, a 31-year-old Oklahoma City nonprofit. After receiving her bachelor’s degree in communications, Jones worked in the broadcast industry for 22 years as a news reporter and anchor. She joined the staff at Infant Crisis Services 14 years ago as its first-ever Communications Director and has helped the agency grow from a small nonprofit to a vital social services agency with an annual budget of more than $3 million. She has won numerous awards for marketing campaigns including Best of the Best from the American Marketing Association for her 10 Dollars in 10 Days social media campaign. A thirty year career in Law Enforcement with the Tulsa Police Department was the impetus for Lynn’s involvement in the family violence battleground. Starting with prevention, Lynn co-sponsored legislation involving home visitation for high risk families, later under the direction of Governor Henry Bellmon she assisted in legislation involving, the first multidisciplinary team for child abuse investigation and the child death review board. Unfortunately the rate of child deaths did not abate and working with women in the prison system she recognized that all domestic abuse was responsible for not only deaths of women and children but ultimately most criminal behaviors she had with witnessed her whole career. She is convinced that if you did not protect the mother you can’t protect the children and domestic violence and family safety is a passion that continues for her today. Lynn is a current board member of Tulsa’s Family Safety Center and a member of Brave Woman for the last 2 years. Denise Garner is the Founder/President of Feed Fayetteville/Communities and also publisher of Edible Ozarkansas. Denise serves on many boards and has contributed to both raising awareness and building a culture of inclusivity and caring. Denise and her husband Hershey are part of the team establishing a Magdalene House organization in Fayetteville, AR, a sanctuary of healing for women survivors of violence, addiction, prison, trafficking and other forms of abuse. Denise was named the 2015 Philanthropist of the Year by the Women’s Foundation of Arkansas. 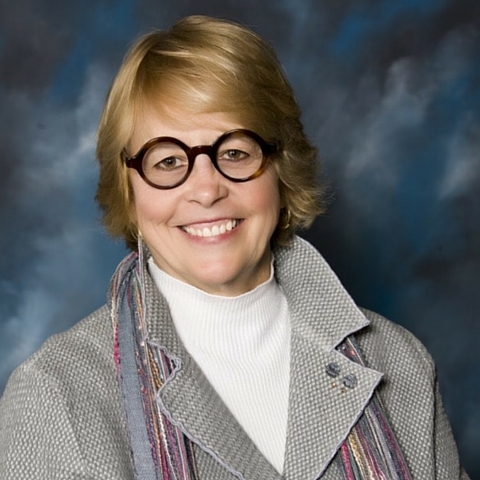 Mary J. Ingham has 26 years of experience in working with trauma survivors and social change. She is responsible for supervision and oversight of an organization providing comprehensive domestic violence, sexual assault and survivors of homicide services. The program serves a total of 23 counties, encompassing 13,135 square miles with a total population of 456,659 with a staff of 28 professionals. Under Mary’s leadership with dynamic counterparts, the organization shifted from a traditional shelter program to a comprehensive housing program that include emergency housing, homelessness prevention and rapid rehousing. She has coordinated four safety & accountability audits examining the criminal justice system. The first two audits focused on the impact of interventions on children that witness domestic violence in the home. The third audit examined the impact of the integration of domestic violence and substance abuse services on the safety & sobriety for victims of domestic violence that use drugs and/or alcohol. The most recent audit examined the impact of domestic violence in the lives of African American individuals and families. Mary has extensive experience and success in building strong and successful collaborations with law enforcement, substance abuse providers, health care providers and the community. Carmen Pitre, is the Executive Director of the Sojourner Family Peace Center, Milwaukee, Wisconsin. Sojourner is Wisconsin’s largest service provider for families dealing with domestic violence. A survivor herself, Carmen is a national leader in innovative programs and services that evolve from the spoken needs and wants of survivors. She and her team are constantly refining and adding programs, fostering deep connections between clients and their own neighborhoods. Sojourner focuses on a broad array of wrap-round healing and advocacy services under one roof with a 56 bed shelter for those that choose that option. Her goal is to show people that they have the power to break the cycle of violence. Rene Renick is the VP of Programs & Emerging Issues at the National Network to End Domestic Violence in Washington, DC. Rene leads NNEDV’s coalition capacity, economic justice and housing technical assistance projects and NNEDV’s special project addressing the intersection of HIV infection and domestic violence. Rene also serves as NNEDV’s liaison with corporate foundation partners. She is a member of the national advisory board for Love is Respect.Org, a project of the National Domestic Violence Hotline and Break the Cycle, and represents NNEDV on the National Intimate Partner Violence Prevention Council. Rene has more than 30 years of experience in the field of mental health, sexual assault and providing support and services for victims of domestic violence. With expertise in trauma informed services, Rene has extensive national and international experience in training advocates, allied professionals and academic audiences on how to respond and advocate for battered women and their children. Rene holds a Master’s in Counseling from the University of Missouri at Kansas City and an Executive Master’s Degree of Business Administration from Benedictine College in Atchison, Kansas. Elise Roenigk has spent a lifetime contributing her talents to nonprofits and causes that foster women. As owner of the Crescent and Basin Park Hotels in Eureka Springs, AR, she has offered women seeking immediate shelter a safe place to go. Her involvement with highlighting voice and expression through the arts is put in action through her service on the boards of visual and literary arts organizations. And, as an astute business woman, she shares her financial expertise with others. Elise serves as Treasurer for Brave Woman. JACK the Therapy Dog has gone on most of the interviews in 7 states, helping us all relax and tell our stories. He nudges, puts his head on our lap, and brings a quiet presence into often difficult conversations. A Seasoned traveller, Jack continues to gentle our world.